Aspirin has been known to help with minor pain, headaches and even as a preventative measure against heart attacks and strokes, but new evidence shows its benefits may be much broader. According to a new study, taking a low dose of the common painkiller daily can reduce the chance of death by cancer. Looking at data accumulated by a 1980 to 2012 Nurses’ Health Study of 86,000 women and a 1986 to 2012 Health Professionals Follow-Up Study of more than 43,000 men, researchers found that those who took low doses of aspirin on a daily basis were 7 to 11 percent less likely to suffer a cancer death over the following few decades. The findings were presented this week at the American Association for Cancer Research. “Accumulating evidence suggests that aspirin not only reduces the risk of developing cancer, but may also play a strong role in reducing death from cancer,” the study’s lead author, Yin Cao, M.P.H., Sc.D., an instructor in the Medicine, Clinical and Translational Epidemiology Unit at Massachusetts General Hospital and Harvard Medical School, explained (as reported on CNN). 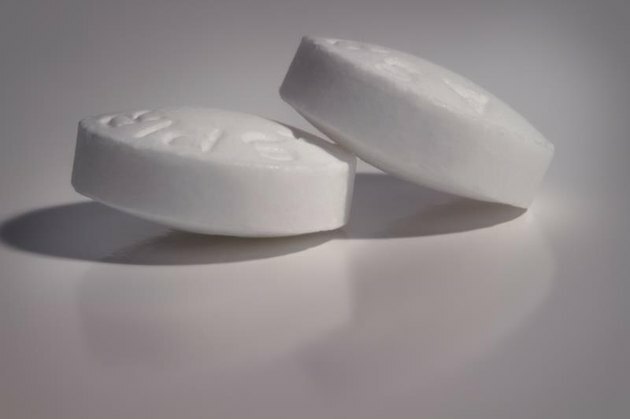 The biggest impact aspirin had on reducing cancer death was in colorectal cancer, with an approximately 30 percent lower chance of fatality, confirming previous studies showing a strong link between the two. It also showed that taking the drug lowered the chance of a woman dying from breast cancer by 11 percent and a man dying from prostate cancer by 23 percent. While taking aspirin daily may reduce the risk of cancer death, researchers noted these findings don’t support the notion that it can prevent cancer, as maintained by other recent studies. Though the findings are compelling, Cao cautions cancer patients to discuss the matter with their physicians before popping any pills. “Evidence has been accumulating very rapidly showing aspirin works in reducing cancer and cardiovascular disease mortality. It is good to remember, though, if a person wants to take a low-dose aspirin, especially if a person has had cancer, they will want to have an initial conversation with their doctor first,” she told CNN. Like with any medication, there are risks to taking aspirin, even for the healthiest of people. The side effects and risks of taking aspirin include stomach issues, such as inflammation and bleeding ulcers; acute overdose, which can ultimately lead to kidney and respiratory failure; and chronic overdose, occurring after people take high doses of aspirin for several days. How often do you take aspirin? Will this research change the way you take aspirin? Are studies like this beneficial for fighting cancer?